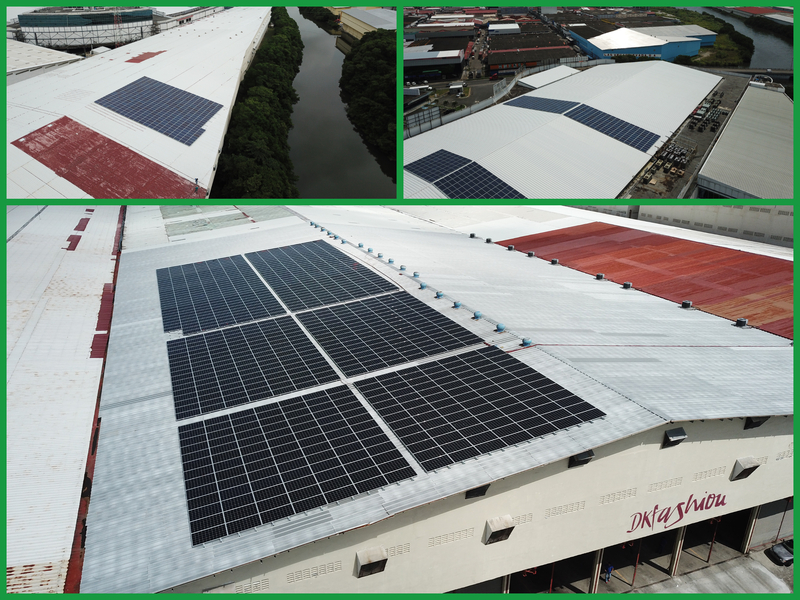 ReFeel Panama SA celebrates the connection to the network of three solar photovoltaic generation plants on some warehouses located in the free zone of Colon, Republic of Panama. The solar generation plants with a nominal size of 450 kWp consist of 1,600 solar panels of 280Wp. Our clients, persons responsible for the environment and aware of the high costs of electricity, have decided to invest in clean generation, and taking advantage of the net metering scheme, they began to produce their own green energy, saving considerably in their electricity bill and lowering the of carbon dioxide emissions. ReFeel Panama SA is an EPCista company (Engineering, Procurement and Construction) with the possibility of providing subsequent customer service for maintenance and monitoring of the plant(floor). ReFeel Panama SA is part of the ReFeel Group, with offices in Italy, Switzerland, Panama, Brazil, Colombia, Costa Rica and Dominican Republic. The Group has developed plants that total more than 280 MW worldwide.